Described by Marco Polo as one of the most beautiful cities in China, the Garden City, Hangzhou is also known as "Venice of the East". Is a kind of language used to express in artistic beauty. A Hangzhou Day Tour from Shanghai by Bullet Train. Ride on a bullet train form Shanghai to Hangzhou,spending all your time at the most attractive places in Hangzhou. 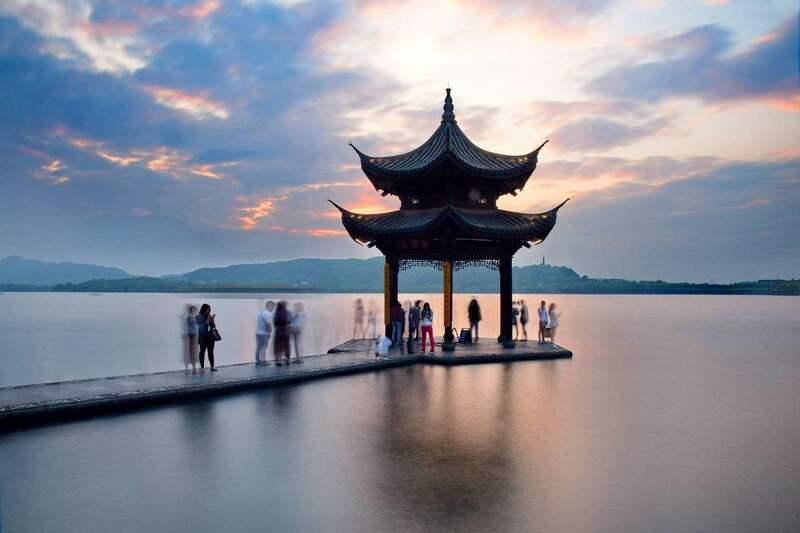 Our Pick up sign" Hangzhou Private Tour"
First,with your personal tour guide, you will take a West lake boat cruise to explore the famous Hangzhou West Lake-which is one of world UNESCO Sites. West Lake Cruise West Lake is just like an ancient traditional Chinese painting inviting you to step in. 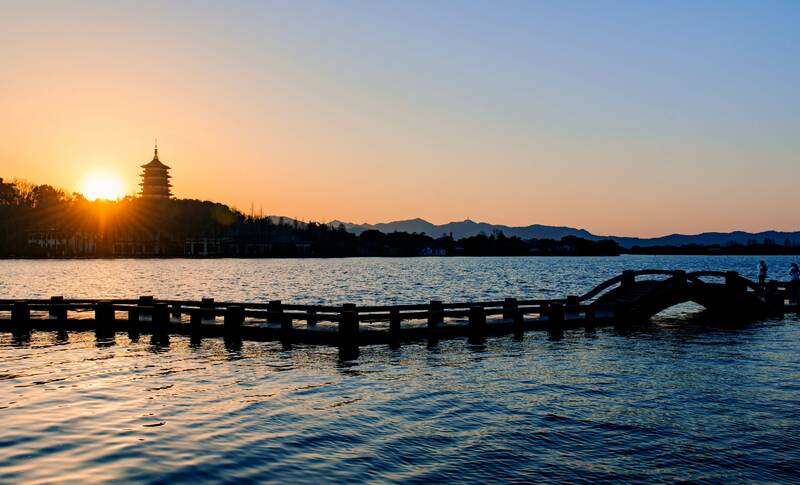 Cruising West Lake leisurely, not only enables you to enjoy the beautiful view of West Lake from a difference angle, but also help you fully sense the feelings of ancient Chinese and get a glimpse of modern Hangzhounese. Later, visit the Lingyin Temple: The Lingyin Temple, west of the lake, stands at the foot of the Beigao Peak and faces the Feilai (Peak That Flew Here) Peak across a stream. With many old trees, groves of bamboo, and quiet and beautiful surroundings, the Lingyin Temple is one of the most famous temples south of the Changjiang (Yangtze) River. Lingyin temple, commonly translated as "Temple of the Soul's Retreat" is one of the largest and wealthiest temples in China. Despite some damage inflicted by red guards during the Cultural Revolution, the temple and grounds escaped much of the wholesale destruction that other temples in China suffered because of the protection of Premier Zhou Enlai. Today the temple is thriving, though most of the thousands of visitors who come do so for sightseeing and not for religious reasons. After visiting the Lingyin temple, walk from the back door of the temple to the Amanfayun Village: Amanfayun is located in Fayun Village near the Lingyin and Yongfu Temples...Amanfayun has a totally zen atomosphere, surrounded by 7 temples and a buddhist academy. People come to Amanfayun for its serenity and tranquility. After walking across the Aman Fayun Village, drive to a village in the mountain side, our guide will pick a nice place for you for lunch! 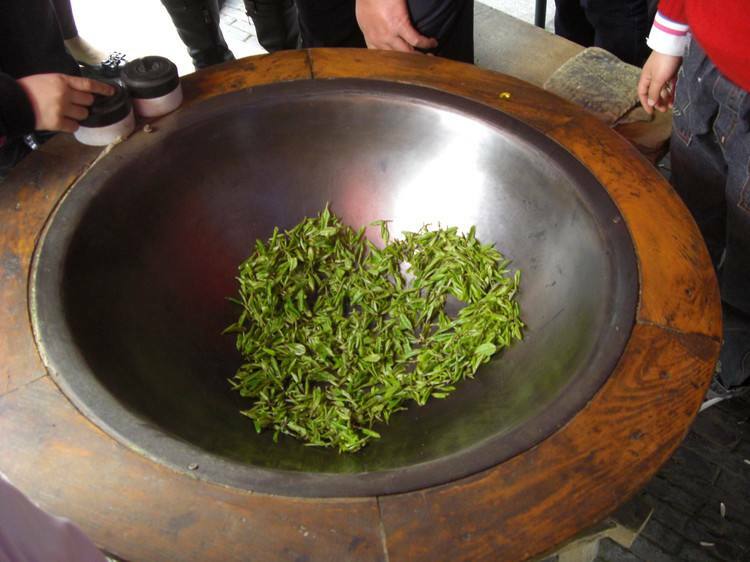 After lunch, you can take a short walk in the tea village and taste a cup of real Longjing Green Tea. 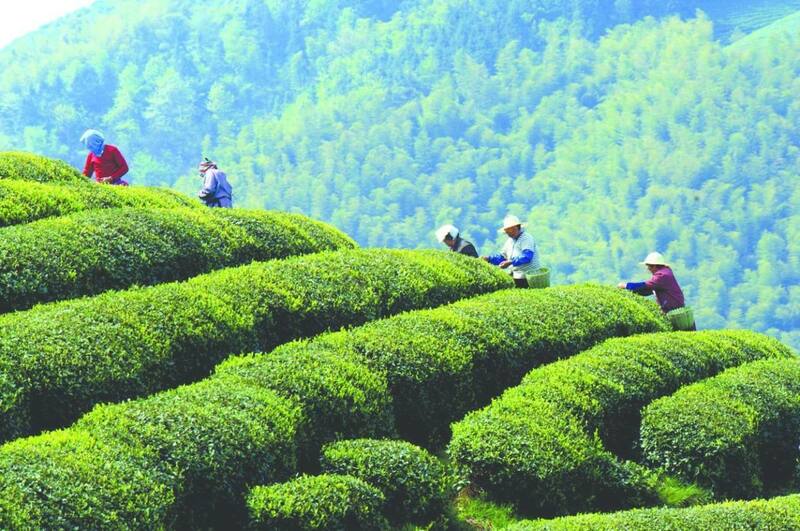 As an important and the largest production base of Longjing Tea in Hangzhou, Meijiawu Tea Village is the best place for sightseeing, combining farmhouses and tea culture for locals, it is features Quiet, relaxing and refreshing place, full of tea plantation. The last stop is The Song Dynasty Imperial Street: The historic Hefang Old Street, located at the southern end of Yan’an Road and the northern foot of Wu Shan Hill in Hang Zhou, A few hundred meters from the West Lake, you can find the Qinghefang Ancient Street in a 13-hectare area. It is the last classical-style area in downtown Hangzhou, with its own distinct cultural features, including Chinese medicine, tea, local snacks, antiques, folk customs and cultural relics. Qinghefang Ancient Street is one of the oldest streets and is the only well persevered antique historic street in Hangzhou City. It derived from the Southern Song Dynasty and became prosperous in the Qing Dynasty. After the tour, drive you to Hangzhou train station and return Shanghai by train. You will be taken back to your hotel once you arrived in Shanghai. The following Hangzhou Suzhou Tours may also interest you! Tour Style：One Day Classic Suzhou Tour is the most popular suzhou day tour from Shanghai chosen by all our clients from these years! Tour Style：Suzhou Half Day City Tour from Shanghai with Extension to Tongli Water Town includes the highlights in Suzhou city Tongli Town with private tour guide. Tour Style：Our 3 Days Huangshan Hiking Tour with Huizhou culture is a good choice for all the visitors, you can hiking the MT.Huangshan and have an unforgettable sightseeing experience in Huangshan and Huizhou.